There are many far infrared (FIR) units on the market which is very confusing to the public. This page will explain how they came into existence and the differences between them. This is important so as not to spend a lot of money on something that will not give optimal far infrared benefits as expected and desired, especially if intended for specific use as thermal therapy. The unit is called the Far Infrared Dome. The traditional sauna companies took note of this far infrared ‘dry’ sauna and shortly thereafter followed suit by incorporating far infrared heat into their existing set-up. Traditional saunas introduced carbon coated metal rods or carbon coated ceramic plates into their existing sauna units to generate far infrared heat and then renamed and marketed them as far infrared sauna even though they still remain a traditional sauna generating a hot ‘wet’ heat. A traditional sauna uses heat to warm the air, which in turn heats up your body. This is a ‘wet’ heat which therefore requires you to remove your clothes. A far infrared sauna heats your body directly, without warming the air around you. Far Infrared is a ‘dry’ heat, clothing is optional. There is no sweating involved – toxins are released through the urine and feces. None of the traditional ‘infrared sauna’ (or the copycat far infrared sauna domes) use the same advanced unique patented crystal chip surface as the Far Infrared Dome which emits 100% pure far infrared. Most far infrared saunas emit 40% to around 90% far infrared (very few units reach 90%). Some far infrared sauna units generate too much wet heat and thereby dramatically reduce the actual far infrared emission level. As a leading supplier of sapphire optics, Red Optronics supply a wide variety of custom sapphire optics, include windows, lens, prisms for a wide range of applications. Our monthly output of conventional sapphire products exceed 10K pcs a month. 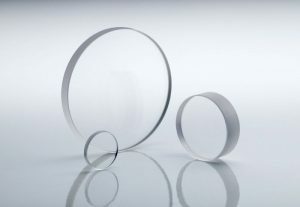 We also supply simple and complex optics or optical assemblies for prototype and small production volumes. Sapphire is a single crystal aluminum oxide (Al2O3). It is one of the hardest materials. 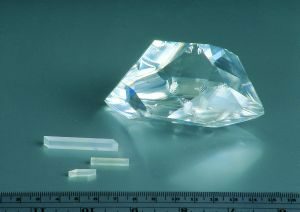 Sapphire has good transmission characteristics over the visible, and near IR spectrum. It exhibits high mechanical strength, chemical resistance, thermal conductivity and thermal stability. It is often used as window materials in specific field such as space technology where scratch or high temperature resistance is required. Sapphire window is made from synthetic sapphire and can be made much thinner than BK7 windows.. It is highly durable with a wide transmission range. Sapphire window is best suited for scratch resistance application that requires better transmission over a wide range spectrum.